If I haven’t conveyed enough already over the past blogging year about just how much I dig the good, old radio, today’s post is yet another example. During a May 5 fishing trip with my boy, Jayce, the whole Top 10 Trip Tunes thing flew by the wayside with a drive dominated by conversation and a Cubs game. And that was just perfect as we hung out shooting the breeze until the occasional rise in tone from the great Pat Hughes on the radio alerted us to something significant going down in the ballgame. One of those highlights this time around was the Cubs’ Kyle Schwarber losing a shoe during a fly ball adventure that wound up with him recovering to make the catch. And here’s what was extra cool about the play. Jayce said, “Dad, did you hear that, he lost his shoe?” Very rewarding when your 8-year old is tuned into a ballgame on the radio instead of some YouTuber on a device. Jayce also noted, “We’ve got to ask Papa if he saw that next time we see him.” The Cubs, and baseball fandom in general, run deep in our family so it was also cool to hear Jayce excited about sharing a baseball story. While returning home, with the Cubs game over and truly anticipating my young angler taking a nap, it was on to a 70s weekend radio program to mix in with our discussion of the trip. The program host previewed an upcoming track as a one-hit wonder by an artist whose stage name was borrowed from an American pioneer and folk hero. 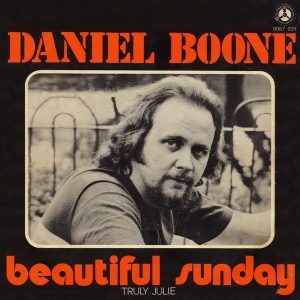 Well, that old useless knowledge thing kicked into gear upstairs and I was quite certain that “Beautiful Sunday” was on the way from Daniel Boone (peaked at #15 on the Billboard Hot 100 in 1972). Turns out I was right on target and Jayce was pretty excited when he heard Daniel Boone’s name come over the airwaves. Now you see, while hanging with Papa, Jayce gets a dose of some History Channel type stuff which is really cool considering he also ingests a fair amount of SpongeBob, Uncle Grandpa, Teen Titans and so on. 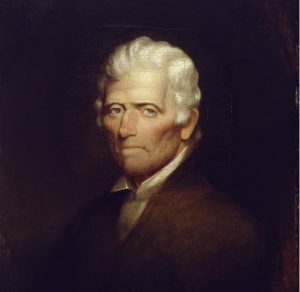 Anyhow, Jayce gets rolling on the Daniel Boone tales with “he got captured”, “he ran a hundred miles through the woods”, “he had to rescue his daughter” and “he survived getting beat up.” Each anecdote was an accurate snippet from the Boone biography but it was Jayce’s final assessment which proved to be the best quote for me. Ah yes, a “beast” indeed. Gotta dig the lingo of a new generation. And as far as the tune by the fellow who adopted the hero’s name as a pseudonym, it’s a classic, happy, sing along tune perfect for any day. For it was certainly a beautiful Saturday with my boy and I getting to share some quality father-son time on the water and in a truck. Don’t get much better than that and extra valuable in a one on one setting that is a rarity in a family with four kids. And jayce still believes what papa passes onto him. Good for him. Troy, I never get tired reading your stories. You really put things in perspective. Thanks, my friend. I never get tired of writing (or fooling around outdoors) so if you are willing to keep reading…And, yeah, kids do a whole perspective thing on your life. Well, at least they should. KInd of sad in too many cases these days as our past career experiences provided yet another perspective. Appreciate you reading and commenting and hope you’ll keep stopping by.